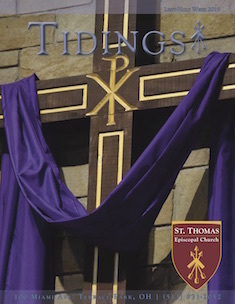 On Sunday, March 18, St. Thomas will have a special day of celebration forthe St. Thomas Nursery School. We will have Nursery School students serving as greeters, recognition of current and former Nursery School students in attendance, as well as a special offering during the 10:30am service by the Joyful Noise, our special pre-school music class. During the Christian Formation Hour (9:15-10:15) we will also have a special open house to tour the school and see recent work by the students. Christian Formation classes for youth and children will still go on at their regular times and locations. Come join us to celebrate one of the most important outreaches of our church!